Quiet your mind and soul, put away the smart phone and tablet, and pick up some colored pencils or markers and color! At home, in a waiting room, at church, coloring is a wonderful way to find peace and calm. 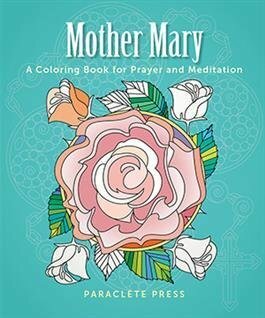 This coloring book for adults from Paraclete is not only a simple path to making something beautiful, it has a spiritual element as well. Reflect on thirty names of the Blessed Mother such as Morning Star, Mother of Sorrows, and Our Lady of Light. Each page includes a prayer or meditation, and a beautiful, original design to color as you ponder.land of inner quiet and prayer.